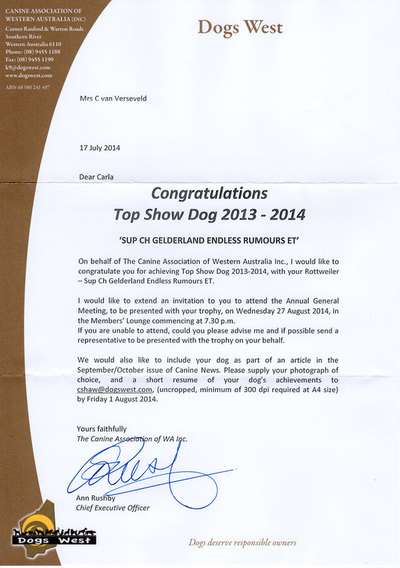 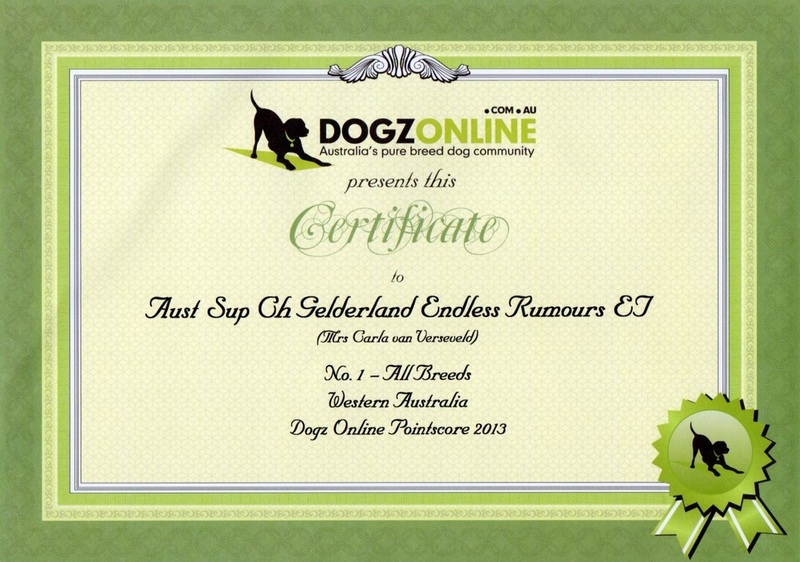 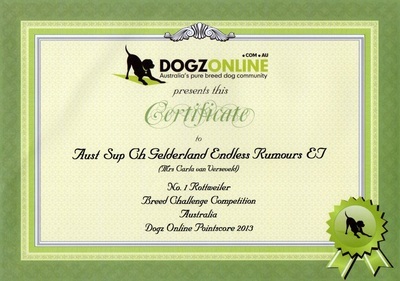 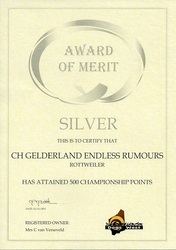 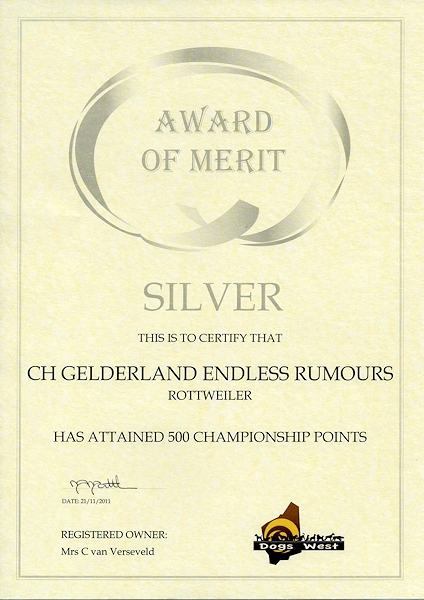 Supreme Ch Gelderland Endless Rumours E.T. 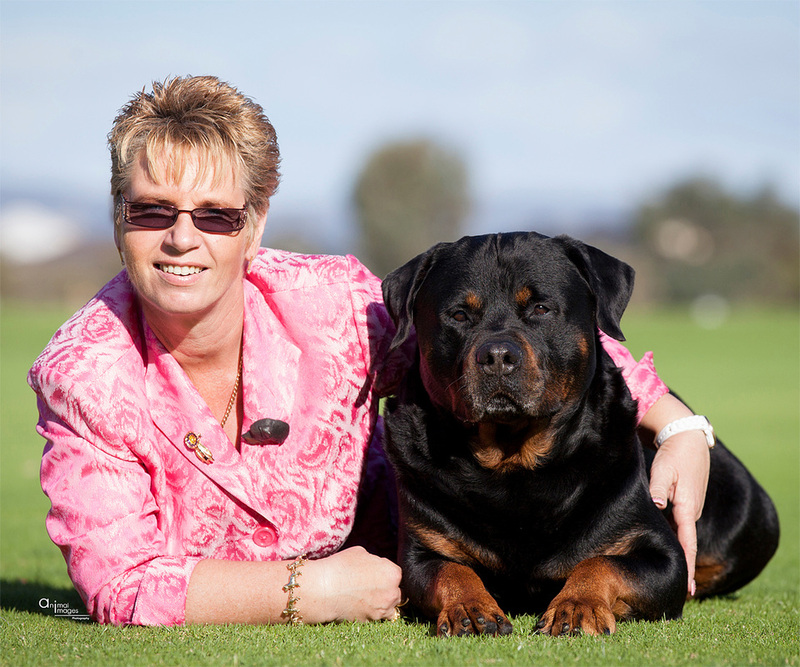 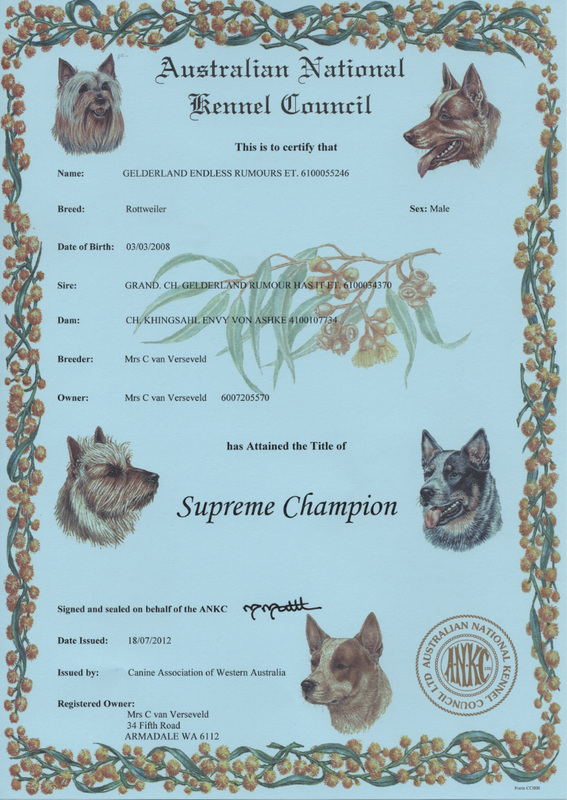 "Lincoln"
Supreme Ch Gelderland Famous Last Words E.T. 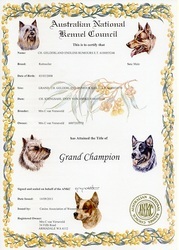 "Delta"
Ch Gelderland XO XO Gossip Girl "Isabell"
Gelderland I Am Prime (AI) "Prime"
Brodmuir Imagine Dragons at Gelderland (Imp NZ) "Drago"
Ch Gelderland Resisting Arrest "Vinni"
Ch Gelderland Person Of Interest "Luger"
Ch Gelderland Opens A Can Ofworms "Nixon"
Ch/ Neuter Ch Gelderland Everyones Envy "Asha"
Neuter Ch Gelderland Lots Of Whispers "Whisper"
Gelderland Let The Games Begin "Games"
Neuter Ch Gelderland Optimistic You Bet "Britta"
Ch Gelderland Alpha Centauri "Alby"
Grand Ch Gelderland Rumour Has It E.T. 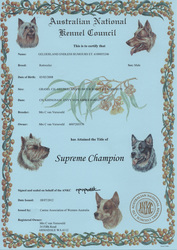 "Sumo"
Grand Ch Blackcombe La Forge C.D.X. E.T. 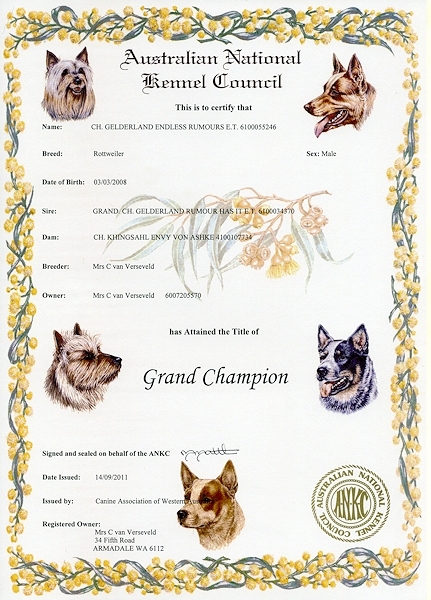 "Geordi"
Ch Gelderland Feast Yr Eyes "Facha"
Ch Gelderland How Sweetitis "Victoria"
Ch Gelderland Gosh Im Posh "Porscha"
Ch Gelderland Watasensation (AI) E.T. 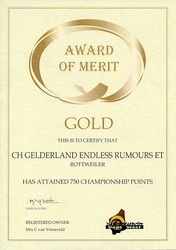 "Gil"
Ch Gelderland Betta Thaneva E.T. 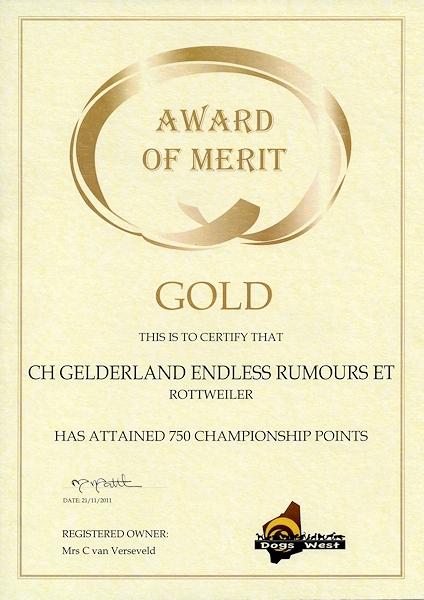 "Jorja"
Ch Gelderland Hear Them Whisper "Marlee"
Supreme Ch Gelderland Endless Rumours E.T. 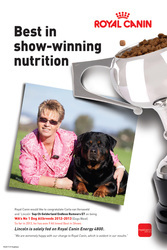 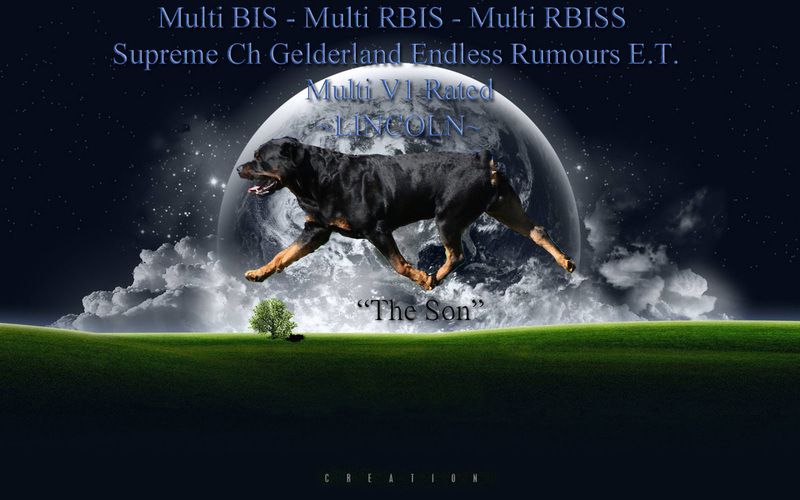 Sire: Multi BIS/Multi RBIS/BISS National 2006 Grand Ch Gelderland Rumour Has It E.T. WHAT A SIRE CAN DO FOR HIS PROGENY !! 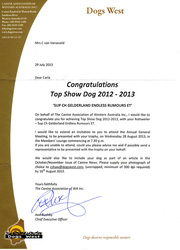 "Lincoln" is one of 3 "SUMO"
to win BEST IN SHOW !!! Moni and Ged, thanks guys !! from the Bunbury & Districts Dog Club Inc.